Dr. William C. Ringenberg was born on August 18, 1939 in Fort Wayne, Indiana. He graduated from Butler High School in 1957 and from Taylor University in 1961. Dr. Ringenberg then completed his M.A. at Indiana University in 1964 and his Ph.D. at Michigan State University in 1970. He returned to Taylor University in 1968 and began his service to the institution, a distinctive career that spanned more than 40 years. Upon retirement from Taylor he was awarded the status of faculty emeritus. During his tenure at the University, Dr. Ringenberg has served faithfully in a variety of roles in addition to professor, including: Chair of the History department; Associate Dean of Academic Affairs; and Director of the Honors Program. He has written the definitive history of Taylor University, a landmark history of Christian higher education, and multiple other books. He has received multiple awards from Taylor University including the Forman Distinguished Faculty Scholar Award and the Bedi Award for Excellence in Service to Higher Education. 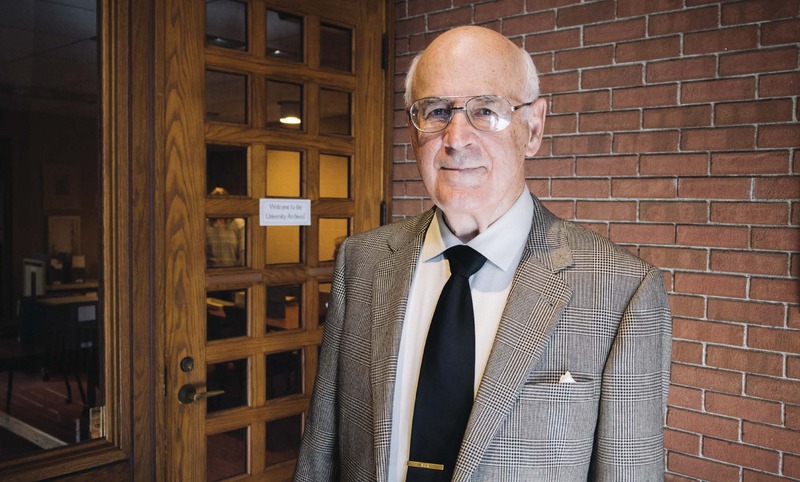 Dr. Ringenberg is described as a gentleman in the finest sense of the word, and a person of deep Christian faith who is greatly admired by his colleagues and students alike. He has effectively blended intellectual curiosity, scholarship, and professional service. His accomplishments are well known in Evangelical Christian circles. Dr. Ringenberg has made a lasting contribution to his alma mater, its students, and to the larger Christian community. In addition to the honors he has received over the course of his career, Dr. Ringenberg and his wife, Becky, have celebrated more than 50 years of marriage and their four children, sons Matthew (’88), Mark (’91), and Peter (’96), and daughter Melodie (Smith ’96) are graduates of Taylor University. Dr. Ringenberg has demonstrated an ongoing commitment to exploring and to documenting the history and heritage of Taylor University and is esteemed within the Taylor community and beyond. In August 2017, the Taylor University Archives was officially named the William C. Ringenberg Archives and Special Collections in honor and recognition of Dr. William C. Ringenberg.